When I was young we lived in Columbus, Ohio. We didn’t have a lot of money. So every 2 weeks (pay day), we got to go to White Castle to get a sack of sliders. It was such a treat! It became a bit of a tradition, really. I can close my eye right now, and smell the aroma that filled our car when that sack was sitting up front between my parents. I remember loving White Castles because they were kid-sized… to me. So I thought White Castle made their little hamburgers just for kids like me. As an adult I got the chance to live in Cincinnati for awhile, and discovered I loved White Castle sliders just as much as an adult as I did a child. Now I live in Knoxville, TN where alas, there are no White Castles. Sad, I know. Not that I live in Knoxville, but that there are no White Castles near me. But every time we make a trip to Ohio, or any area that have White Castle restaurants… I find myself craving a slider! 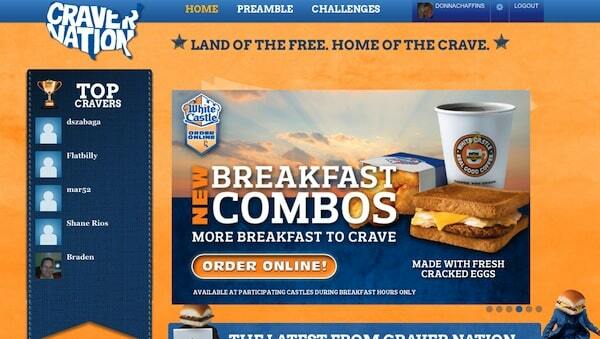 White Castle has a promotion going on right now — Join Craver Nation! and you will receive 2 FREE sliders just for joining the Nation that Craves by July 31st Or, if like me, you don’t live near a White Castle restaurant, you can print out a $1.00 off coupon for a box of frozen Sliders. I’ve printed mine out already! It’s super easy to sign up. You can sign up via your name and email, or through your favorite social media site. I used Twitter and it only took a few seconds. Do you live near a White Castle restaurant? Have you tried a White Castle Slider? How far would you go to get one, or try one if you’ve never had the pleasure of eating a slider? I think I may need to take a road trip. Be sure to sign up at Craver Nation for your 2 free sliders or $1.00 off coupon for frozen sliders… you’re taste buds will be glad you did!